Is the Nikon D3100 good for Sports Photography? Nikon D3100 has a score of 77 for Sports Photography which makes it a GOOD candidate for this type of photography. 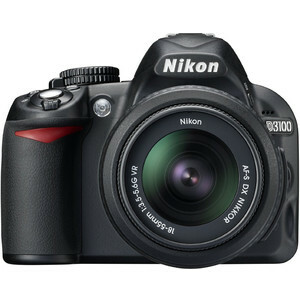 Nikon D3100 will satisfy most of your needs, but if you are looking for a camera that is even better suited to Sports Photography, we recommend you to check the Alternative cameras at the bottom of this page. Nikon D3100's 1/4000s shutter speed is fast enough to freeze any almost all sports action and is also helpful when you use a fast lens at largest aperture under bright sunlight. In most sports events, you shoot at high speed for a long time and this drains the battery pretty quick. With a battery life of 550 shots per charge, you won't run out of juice or have to change battery very frequently in the middle of an event. With lots of external control and a good ergonomics, Nikon D3100's body is very good for sports photography. Due to the lack of sensor based Image stabilization, Nikon D3100 users have to rely on lenses with optical IS in order to maximize the sharpness of their sports photography photos. Currently there are native Nikon F mount lenses with Image Stabilization for Nikon D3100.